Fermented beans (豆豉, dòu chǐ), also known as fermented black beans or Chinese fermented beans, are such a staple to the flavors of a huge array of Chinese dishes. It might look and sound slightly unwelcoming, but its pungence and versatility have made this ingredient a mainstay of classic dishes such as Chinese steamed fish. Often referred to as the Chinese parmesan, these beans add an unparalleled complexity of flavor to dinner centerpieces that will blow your mind. 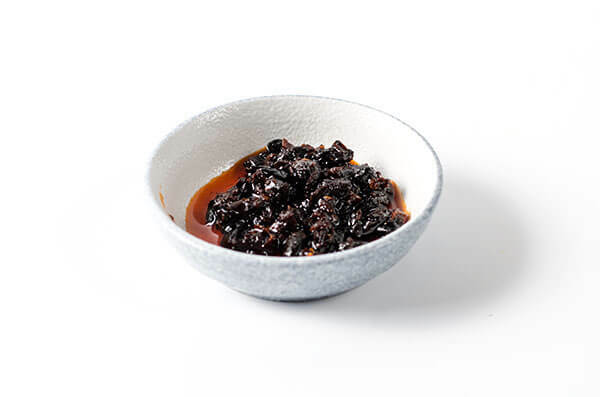 Dòu chǐ is a very salty ingredient made from cooked black soybeans fermented in heavily salinated water; a process that softens the bean and dries it out slightly. 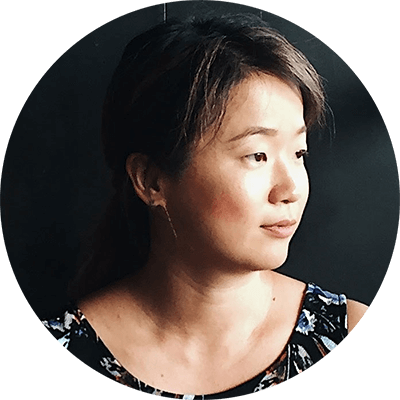 As a result, it has a deep umami flavor like soy sauce but with an even stronger, fermented fragrance. It’s the principle ingredient in fermented bean sauce (豆豉酱dòu chǐ jiàng), which combines other condiments to complement the savoriness of the bean itself. In its original, dry form, the fermented black bean is so strong it’s virtually inedible. Given their sharp flavor, one of the most common ways to use fermented beans is to add them to other spices, like garlic and chili pepper, and cook them into a thick and pungent paste. Known as Black Bean Sauce, this can be made at home and I have prepared a recipe for you to follow here. Once you’ve made a few jars of this stuff you can add it to pretty much any Chinese dish for an extra punch. For example, a very popular brand of sauce – Lao Gan Ma Spicy Fermented Bean Sauce (老干妈辣豆豉酱, which has a fascinating back story you can read here) and Black Bean Garlic Sauce are both made from fermented beans. These sauces taste really rich and can be used as a dipping sauce for dumplings or as a dressing for cooked food. You can find out how to make your own spicy black bean sauce here. Fermented beans can be used in their original form or as part of one of these sauces and incorporated into so many different Chinese dishes. However, it’s so salty that it’s best to use it only as a seasoning and not eat large quantities of it! 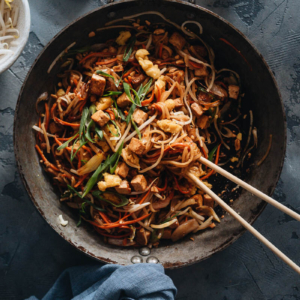 Some of the world-famous Chinese dishes you may have heard of use fermented black beans as an essential ingredient. It’s a great replacement for processed salt and really tingles the palate in a new way. Try it out in the following dishes! Steamed Fish with Black Bean Sauce – Use the sauce as a topping for white fish, steamed or baked. Grilled Chicken – Use as a marinade on chicken breast to produce a crispy, delicately charred-flavor crust. 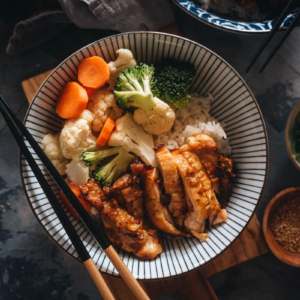 Chicken with Black Bean Sauce – Instead of soy sauce, combine your black bean sauce with other seasonings to give this stir fry some real character. 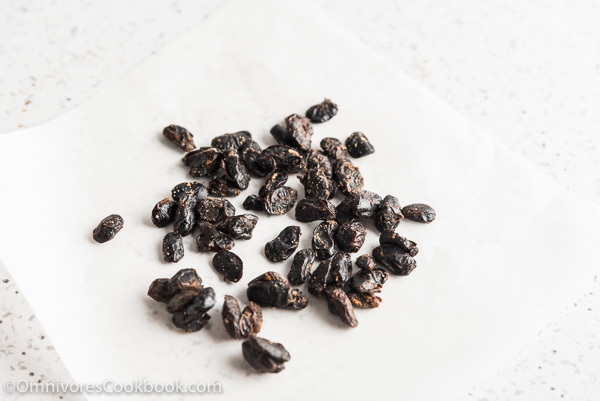 As with most of the pantry ingredients on this blog, you can find fermented black beans at your local Chinatown or Asian market. Normally they come in 12- to 16-ounce bags for only a few dollars each. These days, many mainstream supermarkets have an international section where you can find them too, next to the black bean sauces. 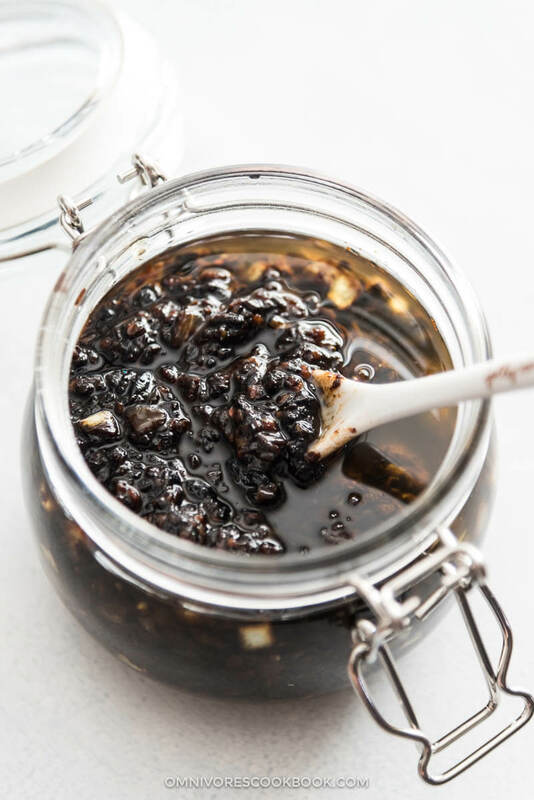 If you live some way from an Asian store or don’t have enough time to visit one, you can find various types of fermented black beans and black bean garlic sauce on Amazon and other online stores, but the price tag will be much higher! Be aware that the meaning of “fermented bean” varies depending on the cultural context. For example, it is called natto in Japan, which is an edible ingredient. 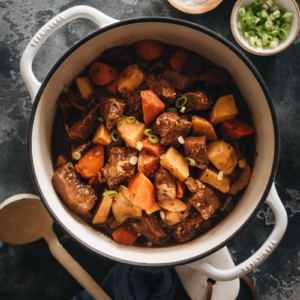 You can also find similar ingredients in Vietnamese, Filipino, and Cambodian cuisines, with slightly different flavors. Take note of the Chinese spelling before shopping to avoid confusion. Once opened, the fermented black beans can be stored in an airtight container for up to 6 months. The fermented bean sauces may also be stored in their jars in the fridge for 6 months.